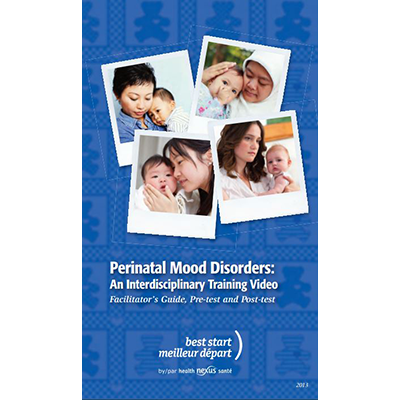 The Perinatal Mood Disorders workshop’s objective is to educate healthcare providers and facilitate participatory discussion on the topic of perinatal mood disorders. an interdisciplinary teaching video: it is available for free on Youtube, or can be downloaded from this page for 50 CAD. a facilitator’s guide in free PDF format, which has questions and answers that correspond to each topic covered in the four chapters of the video.